The icy winter that’s had its grip on Oxford is finally beginning to thaw. Rosy-pink flower buds are sprouting on trees and a buzz of pent up excitement for the outdoors fills the air. The days of trudging up to Brick, parka in tow, are gone. For Miami’s Greeks, the warmer weather means one thing. Day drinking outside, and better yet, in Gatlinburg. You heard me, it’s formal season baby! For us girls, this also means cooler decorating. That aspect of fraternity formals is both exhilarating and daunting. By simply painting and filling a cooler with refreshments, you’ve earned yourself a free weekend getaway! 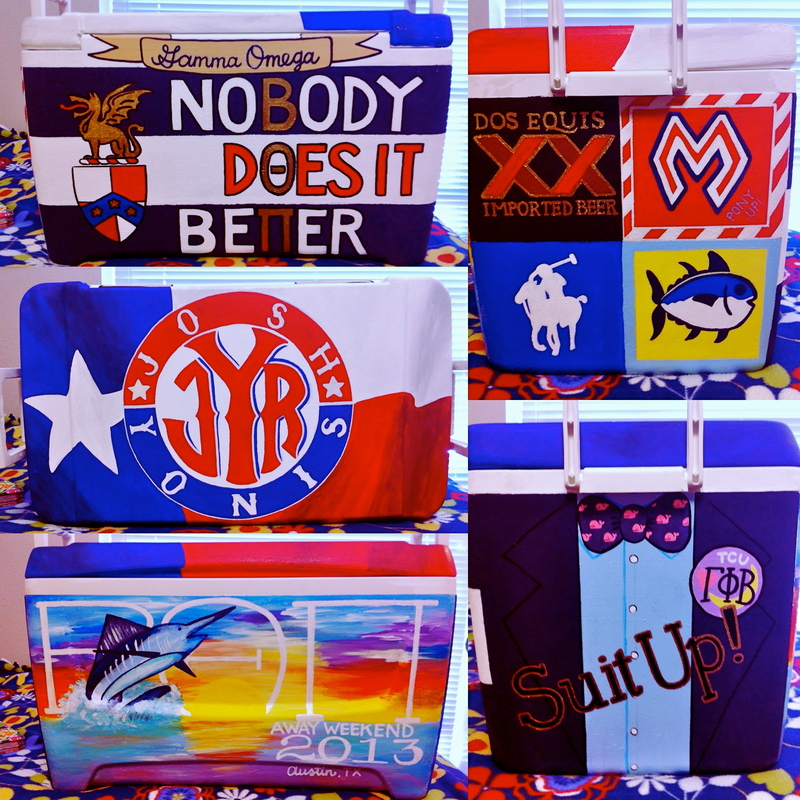 However, if you aren’t particularly artistic (like me), the thought of handing your date a poorly made cooler – especially next to those impeccably painted ones – can be a real nightmare. Here are some semi-easy coolers for inspiration this formal season! Finally, a few tips for formal. Tracing is your best friend. If all else fails, call up an artistic friend. And most importantly, you owe your date NOTHING other than a cooler. Have fun and be safe all season long!